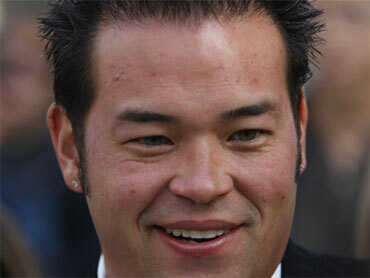 Jon Gosselin has sued ex-wife Kate for primary custody of their eight children. The former reality TV star also asked the Berks County Court on Wednesday to review his child support obligation. Gosselin's attorney, Anthony List, has previously accused Kate Gosselin of neglecting the children because she appears on ABC's "Dancing with the Stars," a charge her attorney rejected as "patently false." In court papers, Jon Gosselin says his ex-wife "abuses" her authority when it comes to scheduling visits with the kids. He also claims an arbitrator failed to require Kate to provide documentation of the children's expenses. The Gosselins appeared on the TLC reality show "Jon & Kate Plus 8" until their marriage fell apart last year. They divorced in December. Kate's attorney Mark Momjian told E! News Wednesday that Jon's suit is "incoherent on many levels," adding that he will be filing his official response on Thursday or Friday. "We do think it is a seriously flawed filing that the court will ultimately dismiss," he said. "We're going to file a response to it and go through the proper legal channels. Our response is going to highlight loudly and clearly why we think this petition is flawed." Momjian also said the timing of Jon's filing is "unfortunate." "It speaks volumes as to what we're really dealing with here. Kate is a completely and totally devoted parent and obviously has a huge following in terms of what's going on with "Dancing with the Stars." The timing of this is what it is. I think anyone objectively looking at this is going to react with a jaundiced view of it."